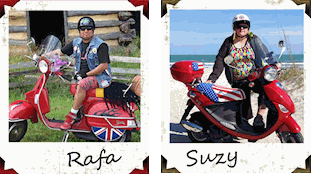 Shown on a 2012-2018 Piaggio Fly, you will need to select your year. The 2012 and later seats have a bag hook in the front of the seat. 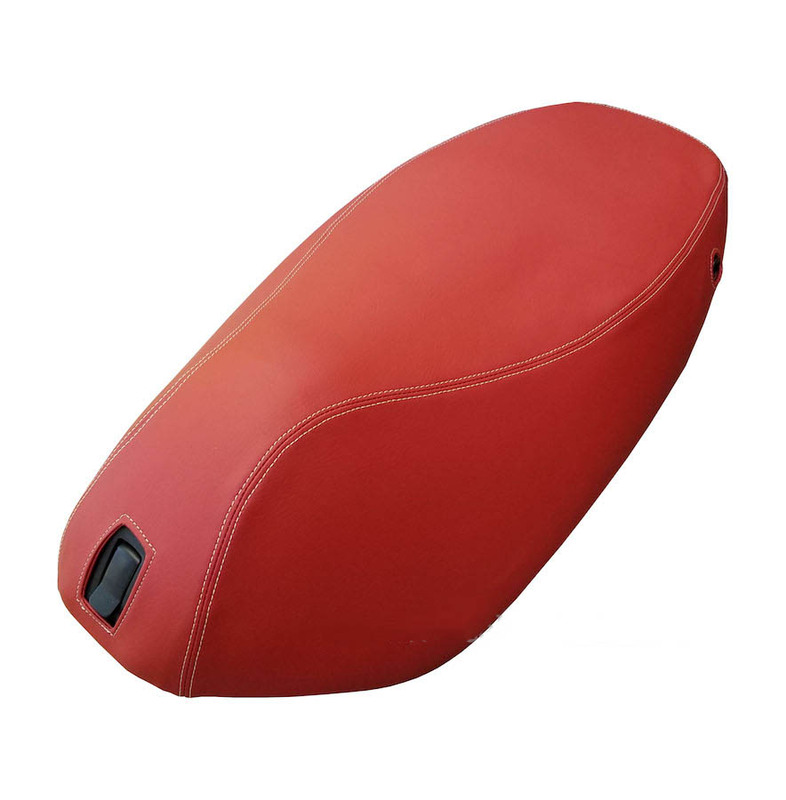 Our stunning terra cotta / brick seat cover will give your Piaggio Fly an upscale look at an affordable price. This material has a soft hand, like calves leather, but is waterproof and UV stable, meaning it will not fade. This is a gorgeous seat cover. We combined our traditional materials and hand tailoring with a contemporary cut style and we just love this look! Crafted using our premium matte Terra Cotta/ Brick material, and constructed using the classic Vespa double seam technique (French seams;) we have added contrasting cream stitching, but if you want a different stitch color, let us know! This color is a rustic Brick/ terra cotta color, it is not a bright red (we do have a Dragon Red color.) 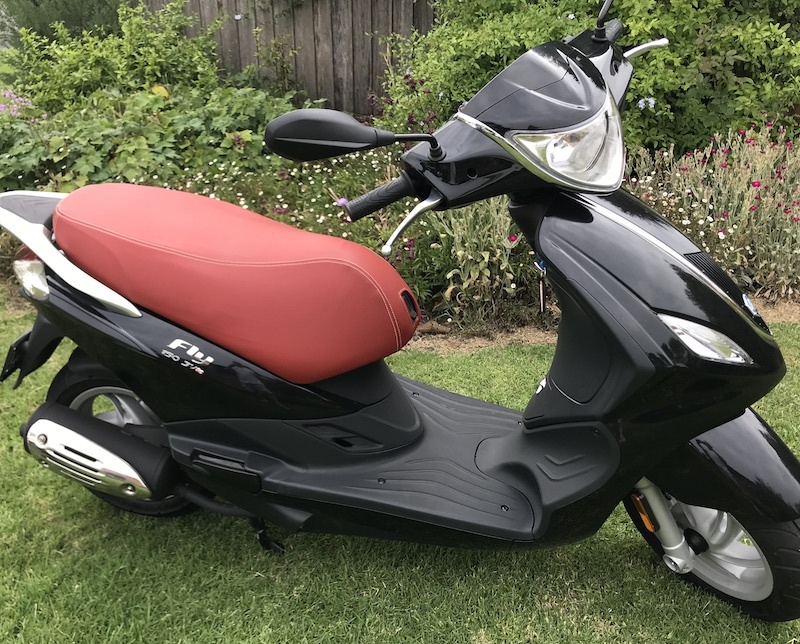 This a superb choice for protecting your original saddle, and if your seat cover is split, this is a great choice, because the top is sewn in one solid piece.